We wrapped up our Open House season last night with a delightful evening at Butler Kia. Good conversation, happy customers, and plenty of food made for the perfect event. The highlight might have been the presentation of flowers to Butler’s Service Manager, Curtis Hancock, for Boss’s Day. 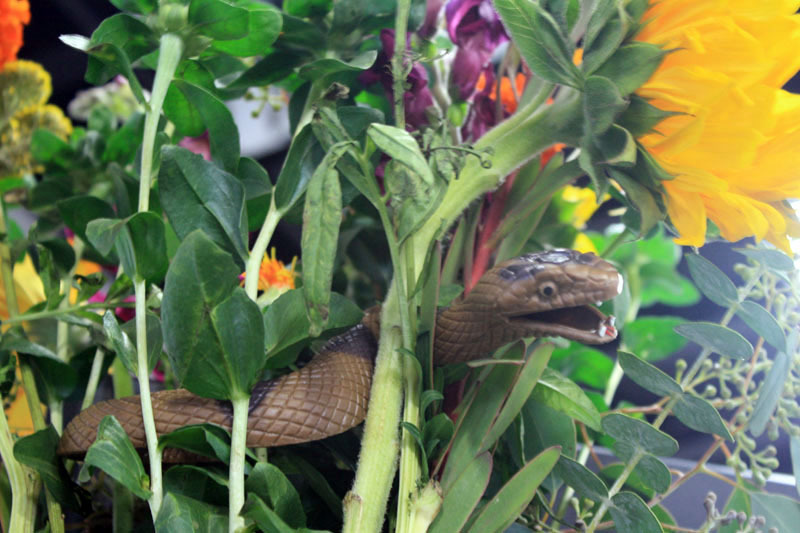 He just about had a heart attack when he ran across the toy snake hidden in the bouquet! Thanks to everyone who participated! See you next year!